MCADAM site (Inscription over gate) Burial place of the MCADAMS of Waterhead ancestors of John LOUDON MCADAM who invented the system of roadmaking now generally adopted & known by his name Gilbert MCADAM and his son James brother-in-law & nephew of Roger DUN both notable covenanters were buried here. The former was shot by kings troops near Kirkmichael Village 1682-5. 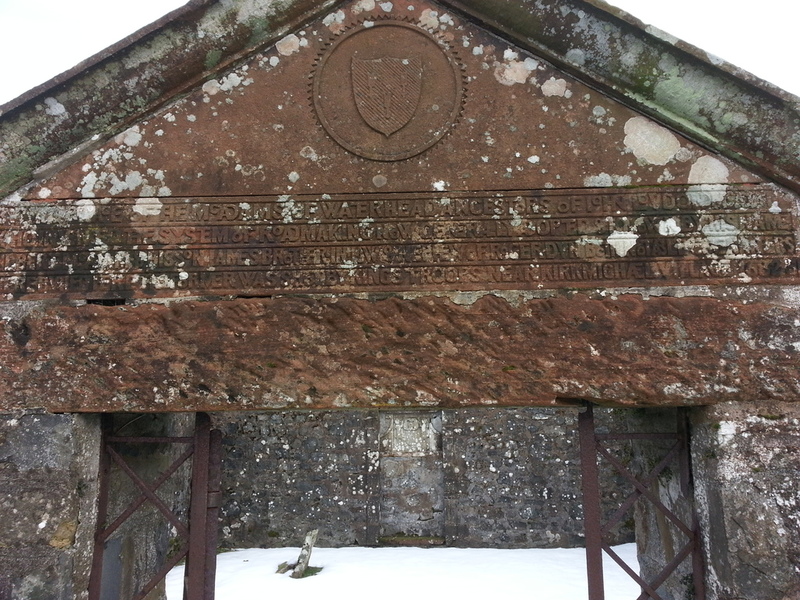 GC, “Kirkyard gravestone 201,” Carsphairn Archive, accessed April 24, 2019, http://carsphairn.org/CarsphairnArchive/items/show/227.